Daniella Valdez is the conductor of CYSO’s Preparatory Strings and Accelerando Strings ensembles. She received her musical training at Texas Tech University and Northwestern University School of Music, where she received her Bachelor and Master of Music degrees respectively. A native of Texas, she began studying violin at the age of ten. She went on to study in intensive string pedagogy programs with Dr. Cynthia Scully at Texas Tech University and Dr. James Kjelland and Stacia Spencer at Northwestern University. In 2011 she joined the faculty staff at Maine West High School, in Des Plaines, Illinois, as the Director of Orchestras. In this capacity she conducts one full orchestra, two string ensembles and teaches guitar classes. Prior to her appointment at Maine West High School, she was an orchestra director at Elm Place Middle School in Highland Park, IL. Her career as a music educator and violinist has led to developing strong and successful orchestra programs. An accomplished orchestra director, she has led ensembles to receive superior ratings in the Illinois Grade Music Association Organizational Contest and participated as a Lab Orchestra at The Midwest Clinic: An International Band and Orchestra Conference. Her students are also participants of the Illinois Music Educators Association Honor Orchestra Festivals and the Illinois Grade School Music Association Solo and Ensemble Festival. During her time in Texas, her orchestras received excellent ratings in the University Interscholastic League Orchestra Concert and Sight Reading Contest. Students also participated in the Region X All-Region Middle School Honor Orchestra Contest affiliated with the Texas Music Educators Association. Ms. Valdez is an active judge and clinician for solo and ensemble festivals. In addition to being an orchestra director, she has a private studio in violin and viola. 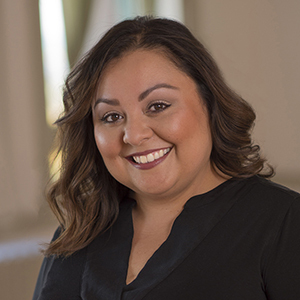 Ms. Valdez has performed with several ensembles in Texas and in surrounding areas of Chicago including the Lubbock Symphony Orchestra, the Abilene Symphony Orchestra, the Shreveport Symphony Orchestra, the University of Chicago Symphony Orchestra, and the Evanston Symphony Orchestra. Also an accomplished commercial player, she has performed on stage with Chuck Mangione, Marvin Hamlish, Toni Tennille, and John Pizzarelli.